The Royal Society for the Encouragement of Arts, Manufactures and Commerce, or RSA for short, was founded in 1754 and has been a hotbed of new ideas and forward thinking ever since. The Society has funded innovation from the invention of devices to sweep chimneys to the development of the first public examination system. Today their mission is to create the conditions for the enlightened thinking and collaborative action needed to address today's most pressing social challenges. 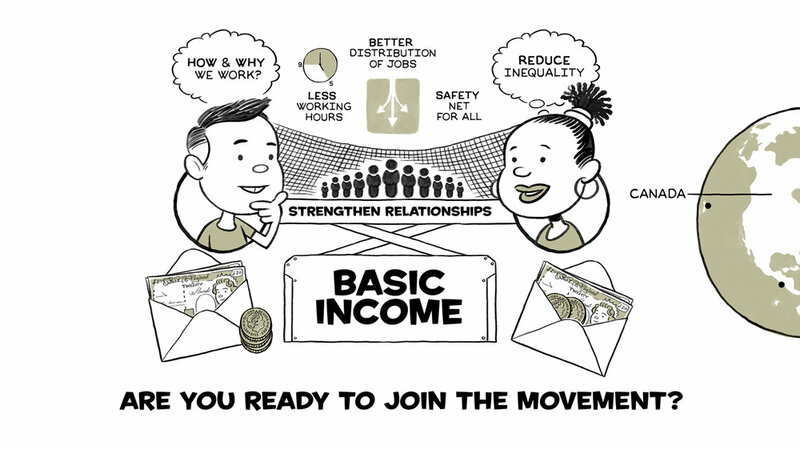 This film introduces the concept of Universal Basic Income as a means of underpinning society and taking away the financial insecurity that many people feel today. Is worrying about money paralysing our society and stopping people from unleashing their talent? And can our current system even cope with the pressures of increasing automation and an ageing population? Could Universal Basic Income be the answer?